Thelma Pendergrass, age 101. Sunrise July 16, 1913 in Union, SC and Sunset November 4, 2014 in Columbus, OH. 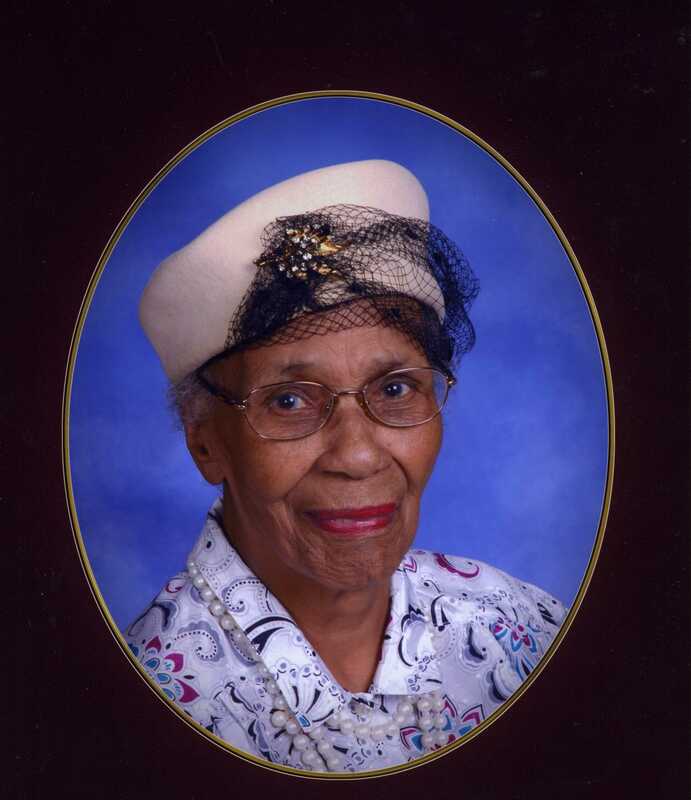 Thelma worked at Sawyer Home Laundry and retired from Riverside Hospital. She was a member of Mt. Gerizim Baptist Church where she served as Church Mother, and with the Deaconess and Choir Ministries. She was preceded in death by her parents Maggie Simpson and Bee and Emma Simpson, husband Nathaniel L. Pendergrass, son David A. Pendergrass and 11 siblings. Left to cherish her memory, daughters Maggie Mae Collins, Madeline Milligan, Anna Jean (Lucius) Johnson and Dorothy Lee Pendergrass, sons Calvin Hansel Pendergrass, Lawrence (Sharon) Frazier Pendergrass and Harold James (Gloria) Pendergrass, 15 grandchildren, 24 great grandchildren, 22 great-great grandchildren and a host of other relatives and friends. Visitation 11:00am and Funeral 12:00 noon Tuesday November 11, 2014 at Mt. Gerizim Baptist Church 2633 Mock Rd. Interment to follow at Glen Rest Memorial Estates. Arrangements entrusted to MARLAN J GARY FUNERAL HOME, THE CHAPEL OF PEACE 2500 Cleveland Ave.
Dear Madeline, My thoughts and prayers are with you.